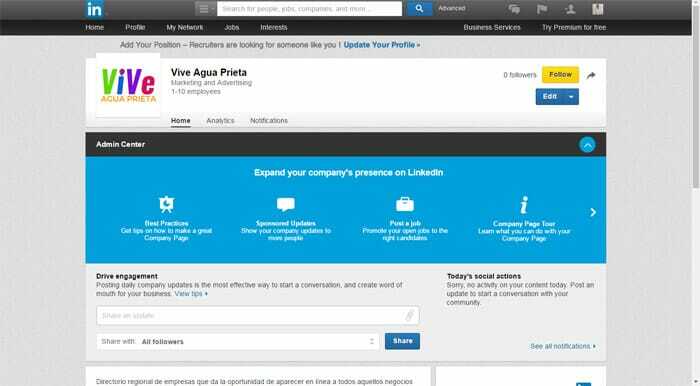 Linkedin has become the social network for professionals by default. If we want to show the world our professional face, what we do is to add our profile about our work on Linkedin. Undoubtedly, this network has helped many people to build relationships and find employment. 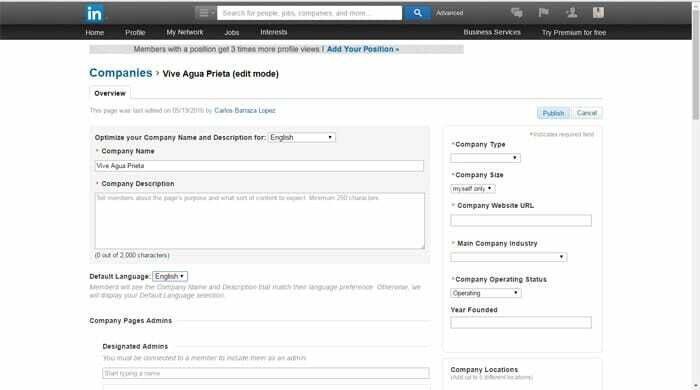 However, you should not miss the opportunity to create a Linkedin Business Account that will allow businesses within the network to show an even more professional profile. You can get too much benefits of Linkedin by knowing how to use it, therefore businesses must know how get a better performance on this platform. 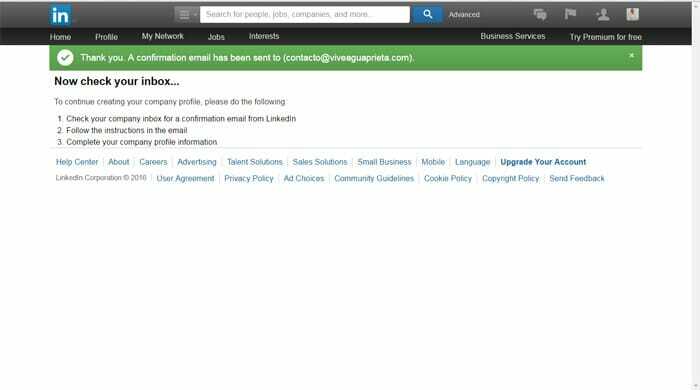 If you are a small business, or an entrepreneur the only requirement is to have an email with own domain (Example: [email protected]) and then you can start to create an account for businesses in Linkedin. 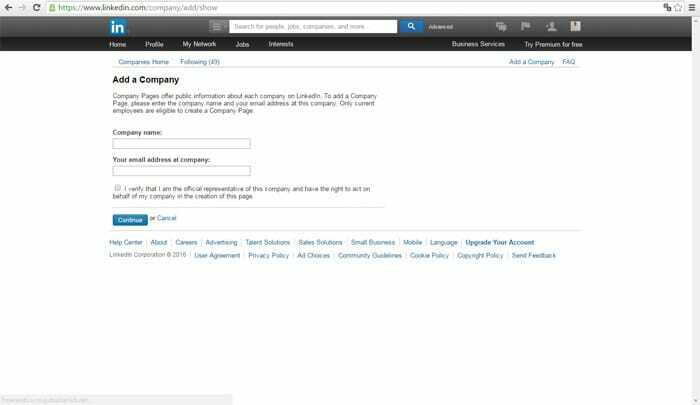 I made several screenshots that show you step by step how to create a Linkedin Business Account. Once registered on Linkedin, you can also register your business. The next link will lead you to Add a Company page of Linkedin to start the process. You just have to start writing your basic information and hit on continue. 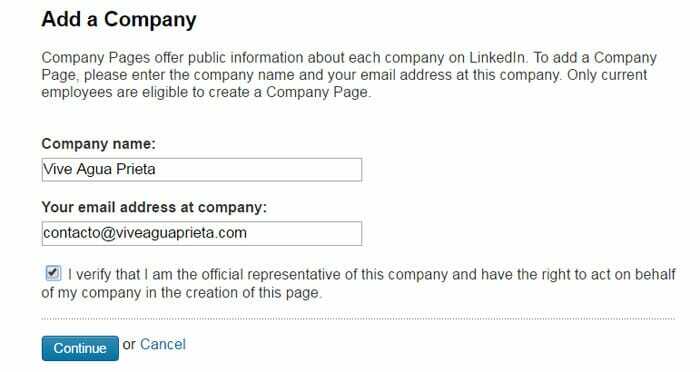 After adding your information, Linkedin will send you a confirmation email. If you don’t have it on your mail, check out the spam folder. Inside the email, a message as the following will appear. Just confirm email. Then, it will send you to another confirmation page. Click to confirm. Keep filling the information that is being asked for, company name, description, type, size, profile image, etc. If you want to change the language, click the tab and select your desired language. It might appear an error, in that case return to english tab. Also you can add your profile picture, it must be a greater size than 300px x 300px. When you finish just click publish. 6. 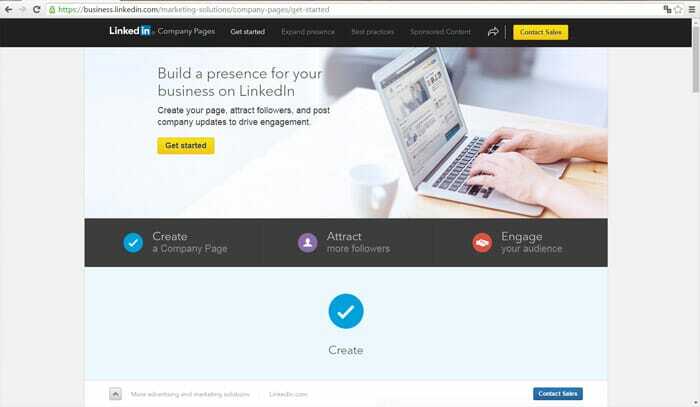 You just created your Linkedin Business Account!